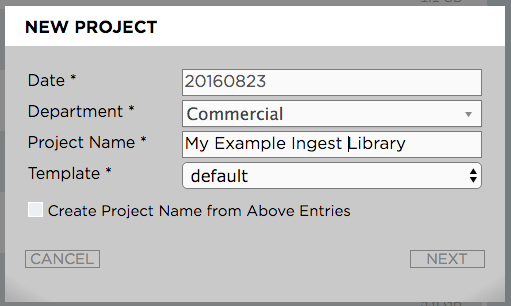 In order to create a new external library, you need to create a normal project first. To do so, open the Strawberry client application and create a new project. Name the project as you wish the library to be named. Once the project has been created close it and go back to the admin panel. Once the library has been created it will appear under “Projects / Manage Libraries” inside the Strawberry Admin panel.